Each and every week I flip through my vintage magazine collection and search for interesting bits of automotive advertising to share with you. 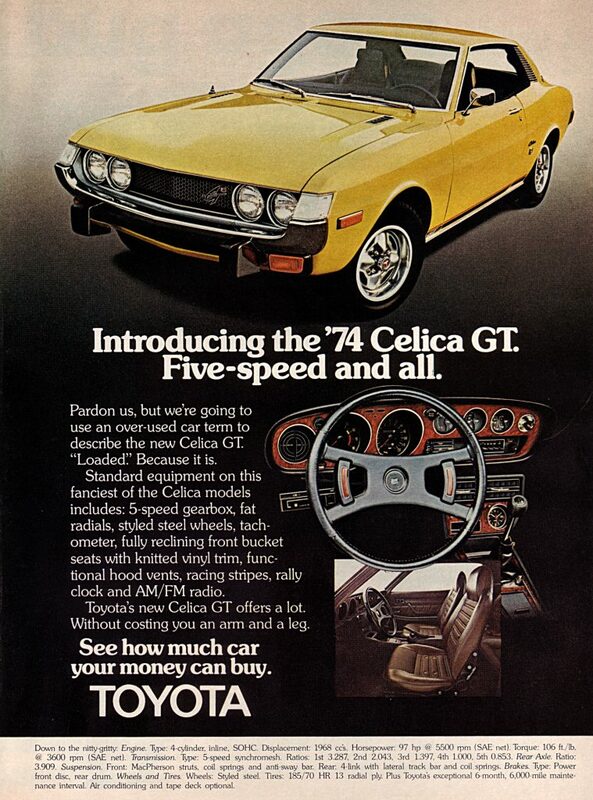 This time around I landed on this vintage ad for the 1974 Toyota Celica GT. At first glance you might mistake the Celica for a Mustang from that era – long hood, short deck, 2+2 seating, sporty look and even the use of animal themed badge (a swan). When you take a look at the ad copy you’ll see that Toyota’s position in the market isn’t all that different today than it was 40+ years ago. Toyota has always been about maximizing your dollar so you get the most value possible. So what do you get in a ’74 Celica GT with an MSRP of $3,569? Check out the ad below to find out! Introducing the ’74 Celica GT. Five-speed and all. Pardon us, but we’re going to use an over-used car term to describe the new Celica GT. “Loaded.” Because it is. Standard equipment on this fanciest of the Celica models includes: 5-speed gearbox, fat radials, styled steel wheels, tachometer, fully reclining front bucket seats with knitted vinyl trim, functional hood vents, facing stripes, rally clock and AM/FM radio. Toyota’s new Celica GT offer a lot. 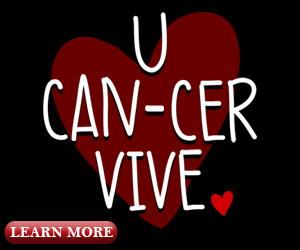 Without costing you an arm and a leg. See how much car your money can buy. Toyota. Engine. Type: 4-cylinder, inline, SOHC. Displacement: 1968 ccs. Horsepower 97 hp @ 5500 rpm (SAE net). Torque: 106 ft./lb/ @ 3600 rpm (SAE net). Transmission Type 5-speed synchromesh. Ratios: 1st 3.287, 2nd 2.043, 3rd 1.397, 4th 1.000, 5th 0.853. Suspension. Front: MacPherson struts, coil springs and anti-sway bar. Rear: 4-link with lateral track bar and coil springs. Brakes. Type: Power front disc, rear drum. Wheels and Tires. Wheels: Styled steel. Tires: 185/70 HR 13 radial ply. Plus Toyota’s exceptional 6-month, 6,000 mile maintenance interval. Air conditioning and tape deck optional. Do you like this ad for the 1974 Toyota Celica? Did you even own one? Share your thoughts in the comments section below.